You asked for it, and we’re bringing it back! 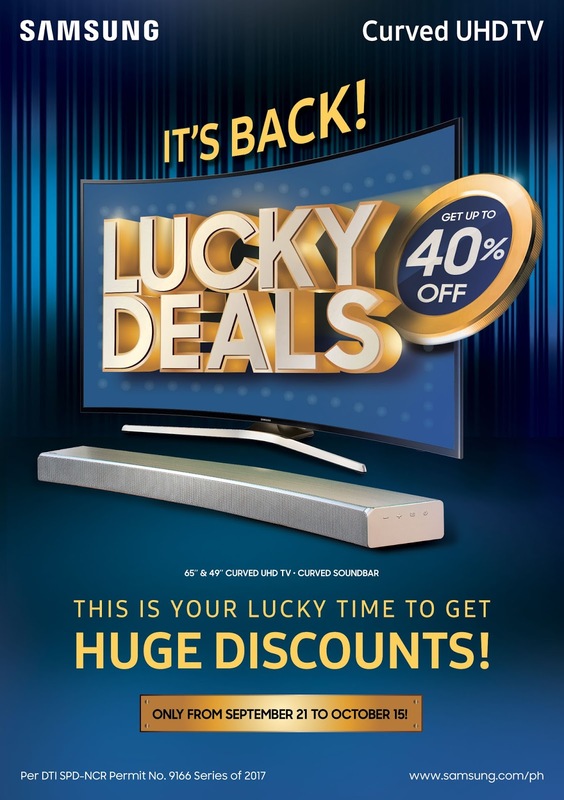 Samsung’s Curved TV Sale is returning from September 21 to October 15. You can get up to 30% off the Samsung 49 or 65-inch Curved Ultra High Definition (UHD) TV and the Samsung Curved Soundbar Sound+. With the Curved UHD TV’s sleek curved screen design, watching TV has never been a more immersive experience. Its full 360 degree viewing angle and 4K resolution picture quality bring you closer to your favorite shows and movies. Its UHD Up-scaling engine seamlessly enhances any low-resolution content on-screen to a higher level of clarity, all the way to Ultra High Definition. Elevate it even more with the Samsung Curved Soundbar Sound+, which perfectly fits your new Curved UHD TV. It boasts of 9 built-in speakers with 6 subwoofers, a multi-speaker control technology, and wide range tweeters. It’s always HD Audio ready, designed to produce high audio frequencies. To know more about this promo and the Samsung Curved UHD TVs and Curved Soundbar, visit Samsung Electronics Philippines’ official Facebook page or samsung.com.ph.